Video Showing Walking up and down a Space saver Staircase in the workshop. approximately half the going distance of a normal flight of stairs. 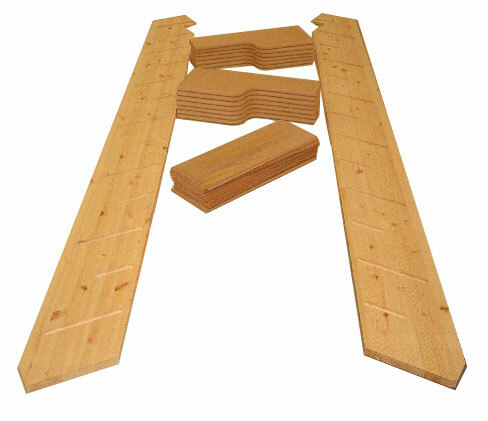 The Space Saver Kits - 32mm Engineered Pine Strings, 30mm MDF Treads and 9mm plywood risers. 13 Risers. Floor to Floor rise options from 2500 to 2700mm, Width 650mm,Going 1460mm,. The Budget Space Saver - 32mm Engineered Pine Strings, 30mm MDF Treads and 9mm plywood risers. The Beech 40 Space Saver - 40mm Engineered Beech Strings, 40mm Engineered Beech Treads and 18mm Engineered Beech risers . 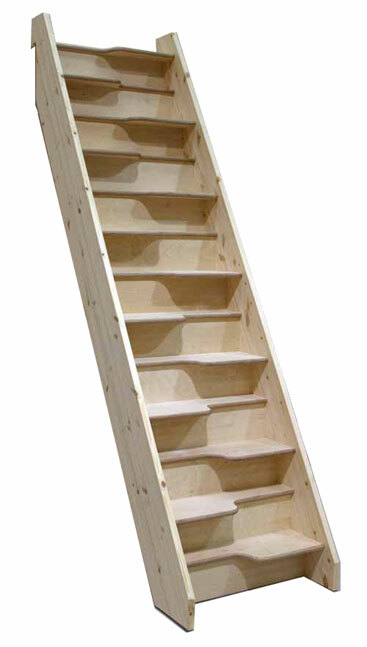 Note - The Budget, Birch 24 and Beech 40 Spacesaver staircase options above are constructed using traditional staircase methods with the treads and the risers housed into the strings producing a quality staircase. The going space required for a 12 riser space saver staircase is 1350mm from the trimmer line to the face of the bottom nosing. 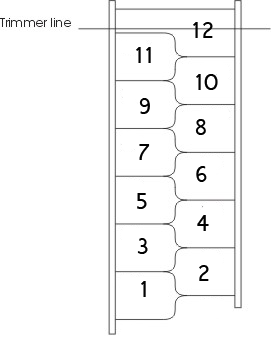 You can work out the total length by multiplying the number of risers your flight requires by 110mm (this gives you the 220mm Minimum Going size required by Building Regulations)and adding 20mm for the nosing overlap plus the thickness of a riser (between 9 & 18mm depending on model). We offer these Made to measure. 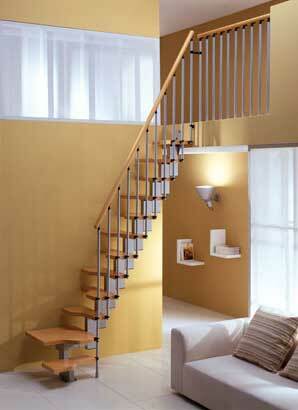 This staircase is also available "Flatpack"
This staircase is only available "Flatpack" . this is the class leader in space saver staircases. 9mm Beech faced Plywood Risers. option on the Beech 40 spacesaver.